Until yesterday I’d never really thought of Walthamstow as somewhere to go for an afternoon out, unless I’m visiting friends in the area. But, a quick nip round the North Circular in my little car proved me wrong as the William Morris Gallery is definitely worth a visit. 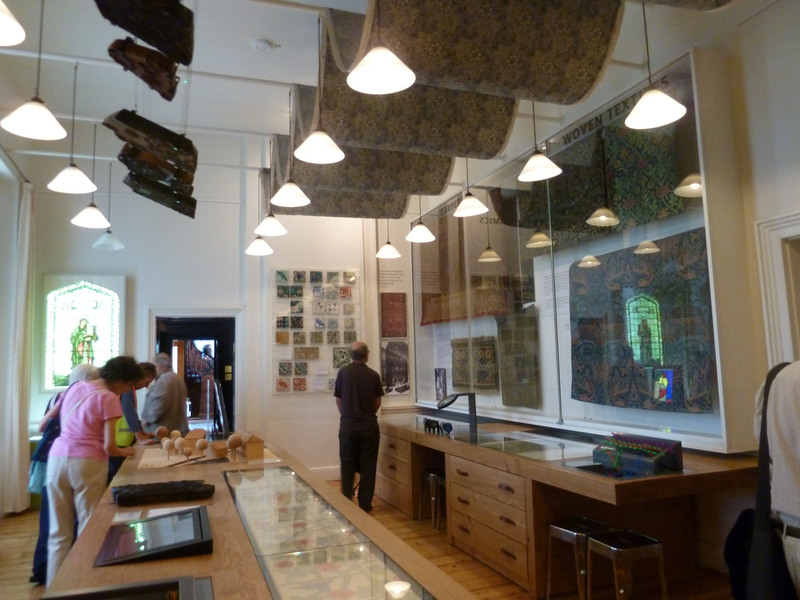 The William Morris Gallery at Lloyd Park in Walthamstow. Own photograph. Following a 15 month closure, the Gallery has now re-opened thanks to a £5 million regeneration programme mostly funded by the Heritage Lottery Fund and Waltham Forest Council. The renovation has been sensitively undertaken by Pringle Richards Sharratt Architects who have retained the original fabric of the building while introducing modern features. One of the wonderful new galleries. Own photograph. 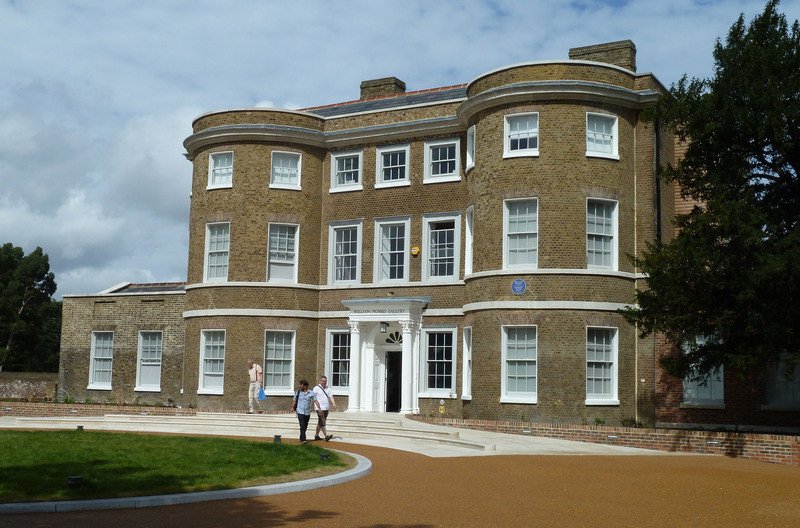 Now, I never knew this but William Morris was actually born in Walthamstow in 1834 and Water House, a grade II* listed Georgian building, was his family home from 1848-1856. There was interest in turning the building into a museum in his honour from as early as 1908 but, at that stage, there wasn’t anything to put in it! 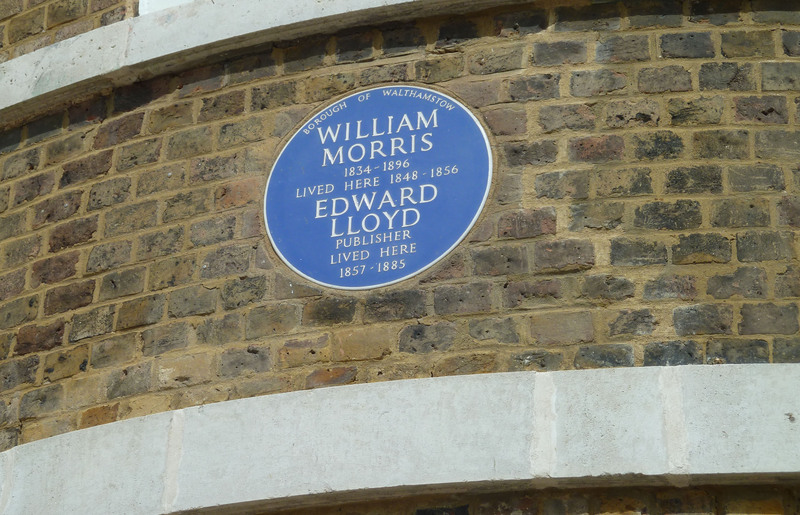 Over the years, with the help of Sir Frank Brangwyn RA and others, a collection has been formed and, in 1950, the building became a museum to showcase Morris’s work. It has remained so ever since. Morris’s designs are iconic; there can be no doubt that he revolutionised British design and his influence still prevails. In Victorian times, his graphic style was the height of modernity. Morris is also known for his strong connections with the Pre-Raphaelite Brotherhood and, in 1861, he founded an interior design business called Morris, Marshall, Faulkner & Company; the firm’s partners included Ford Maddox Brown, Dante Gabriel Rossetti (who designed most of their stained glass), Edward Burne-Jones and Philip Morris. ‘The Firm’, as they were known, strove to make use of natural materials, reviving ancient crafts in their quest for pure quality. Hand-craftsmanship was paramount to Morris throughout his life and he preferred to make use of small-scale workshops where individuals were trained in a specialist skill. In 1875, the business was renamed Morris & Co and fell solely under his control. 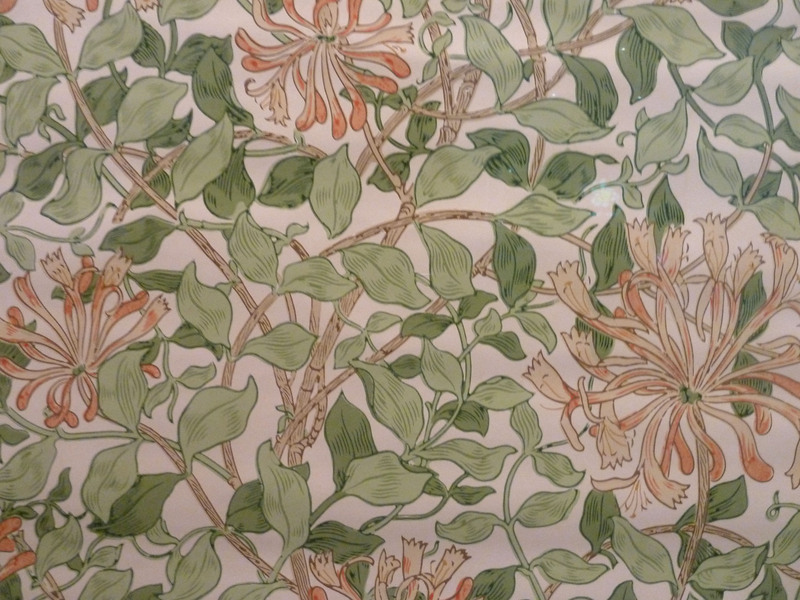 Honeysuckle Wallpaper that was used at Rounton Grange. Own photograph. The dense display system in use at the Gallery allows for over 600 objects to be on show at once. The building has an archive system in a specially designed conservation basement and, as all the collection is now stored on site in this archive, the objects in the public space can be rotated regularly. Visitors to the gallery move from the introductory area into a room looking at Morris’s formative years and his early forays into design. Each room progresses through his life showcasing his countless designs. Embroidery was the first of the textile arts that Morris explored and, through this craft, he fell in love with the experimental, non-commercial ideas that came to typify his practice. 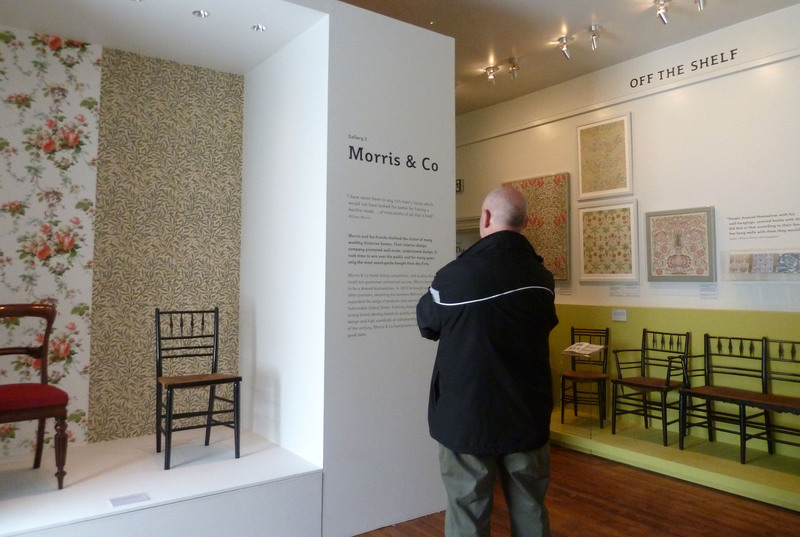 Exploring Morris’s life and work at the Gallery. Own photograph. 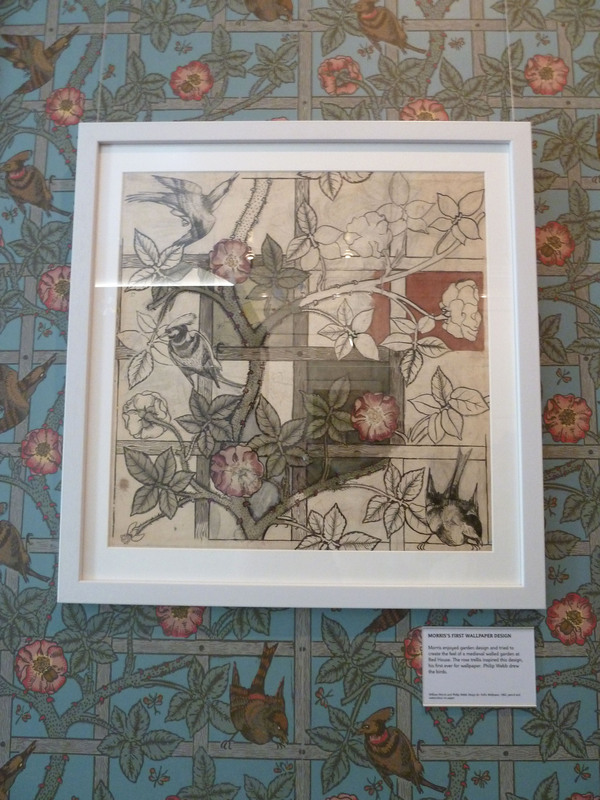 Trellis was Morris’s first wallpaper design where he took direct inspiration from the rose trellises in his garden. 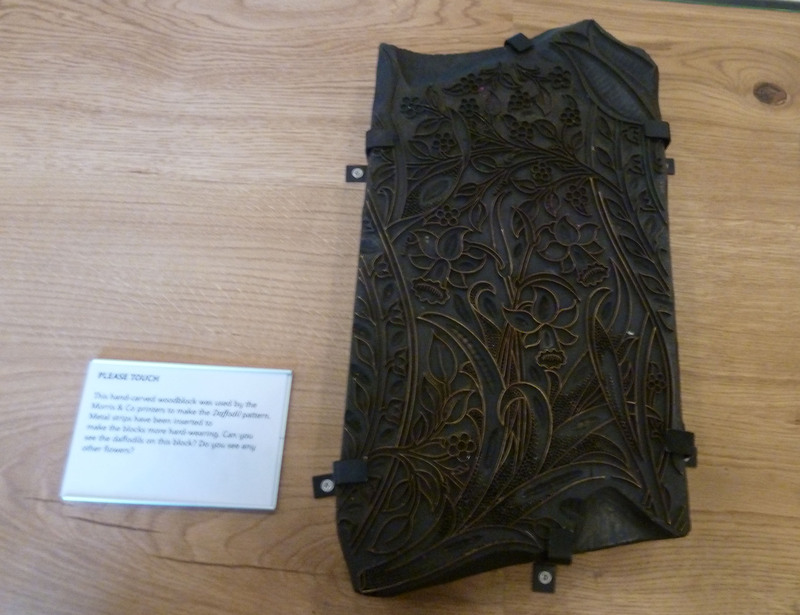 Initially, Morris attempted to print the design himself but the results were not to the high standards he sought. He turned to Jeffrey & Co and they continued to print all his wallpaper designs thereafter. The sometimes cluttered display shows off the quality and splendour of Morris’s designs. He famously said ‘Have nothing in your houses that youdo notknow to be useful, or believe to be beautiful’ and there can be no doubt that his designs fulfil the latter criteria. William Morris, Trellis. Own photograph. The first floor is less dynamic but explores the founding of Kelmscott Presss, another of Morris’s businesses that printed his volumes of poems and historical tales. It also investigates Morris’s political views and the Arts and Crafts movement as a whole. There is a room dedicated to Frank Brangwyn, one of Morris’s apprentices responsible for collecting a large number of the pieces that feature in the Museum. There are some great interactive features where you can design your own patterns, explore maps, ‘be Morris’ and so on; you’re even encouraged to touch and interact with the objects. The gallery now also has space to stage small-scale exhibitions around modern art and design. Kickstarting this new programme is Grayson Perry’s rarely-displayed The Walthamstow Tapestry – 15m wide it chronicles our journey from birth to death with characteristic touches such as the seven ages of man reinvented as the seven ages of shopping. 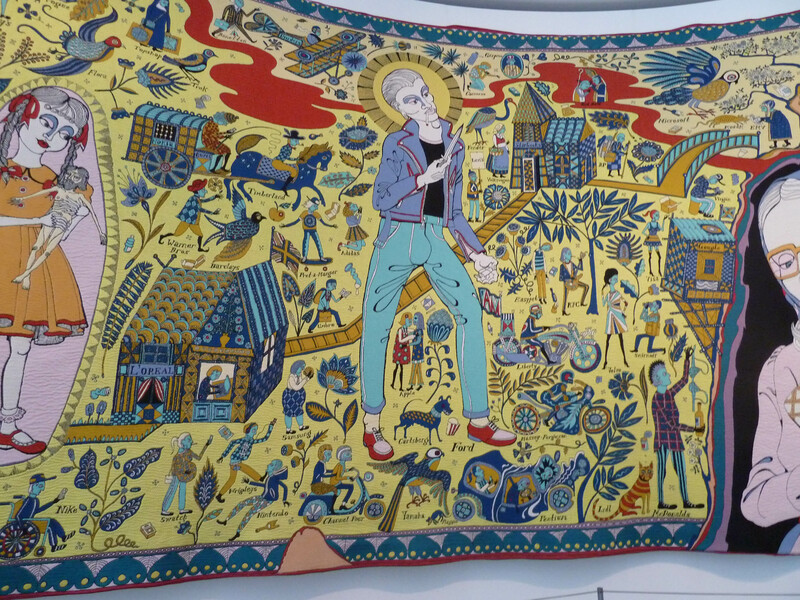 Grayson Perry, The Walthamstow Tapestry. Own photograph. The museum is light and well-formed with clear identifiers for all the rooms. Even on a random Thursday morning, the place was packed showing the popularity of Morris. People still draw inspiration from his creativity and genius. I never visited the gallery before the refurb so I have no point of comparison but the space is great. And it’s free. Thanks to the refurbishment the gallery now houses a café and Morris’s patterns have been fully incorporated into the building, used to carpet the stairs, decorate the ceilings and even paper the walls in the toilets – they’re definitely worth a visit too! Grayson Perry: The Walthamstow Tapestry is at The William Morris Gallery until 23rd September 2012, www.wmgallery.org.uk.